Wellworks For You presents seven surprising heart health facts that may completely change your outlook on wellness! If you are looking for a way to inspire your employees to make positive changes, begin by sharing these seven surprising heart health facts with them! At Wellworks For You, we strongly believe that information like this can be the key to major changes in the lives your employees, their families, and of your whole business. Heart Disease is the Leading Cause Of Death for both men and women in the United States. In fact, according to the Center for Disease Control, 610,000 people die of heart disease in the US each year. Join the fight against this deadly disease by taking control of your heart health today. You Can Control Your Risk Factors. Risk factors for heart disease include: high blood pressure, high LDL cholesterol, smoking, diabetes, overweight and obesity, poor diet, physical inactivity, and excessive alcohol use. Many of these factors are within your control and can lower your risk. Stress Plays A Critical Role In Heart Health. High levels of stress can increase blood pressure and cholesterol levels, as well as having a negative impact on other heart disease risk factors like smoking, drinking too much, and overeating. Learning to manage stress is an important step toward better heart health. High Salt Intake Raises Risk Factors. Excess salt and sodium intake are linked to higher blood pressure, which in turn raises the risk of heart disease. Lowering your salt intake by just half a teaspoon a day would make a significant difference in both health and healthcare costs. Look for the heart health facts on packaged and prepared food to find lower sodium options. Aerobics Aren’t Everything. Although physical activity is essential to improving heart health, strength training is also effective as you work toward lowering your risk of heart disease. Most importantly, though, find activities that you love to do. When you enjoy your physical activity, you’ll stick with them long enough to enjoy the health benefits. Smoking Cessation Offers Instant Benefits. Smoking significantly increases your chances of heart health problems. However, the moment you stop smoking, your body can begin recovering, and the longer you quit, the greater the benefits. If you still smoke, look for smoking cessation programs that offers the support you need to make this change. Heart Health Does Not Require A Radical Diet. Instead, you should aim for a balance of the main food groups, limiting fat content to no more than 30% of calories. Learn to prepare your own meals; this gives you a greater range of control over what you eat as well as greater awareness of the fat and sodium content of your foods. Simple and smart adjustments can make a significant difference in your overall health, as well as your heart health. Want More Heart Health Facts? 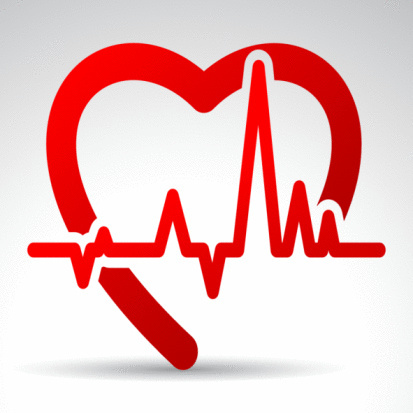 If you are interested in discovering more heart health facts and tips for improving your cardiovascular and overall health, check out our blog. For help initiating engaging programs to help your employees follow through on these ideas, call us today at 800.425.4657.